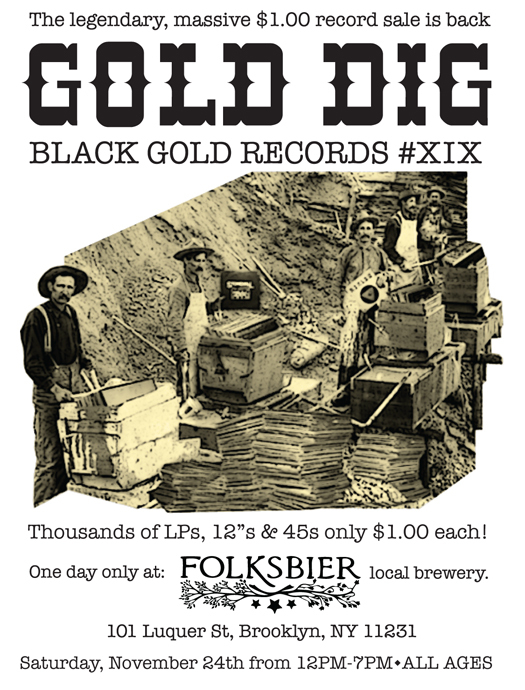 BLACK GOLD to host the 19th Black Gold Gold Dig with friends at FOLKSBIER — right around the corner from their Court Street location (at 101 Luquer St, Brooklyn, NY 11231). 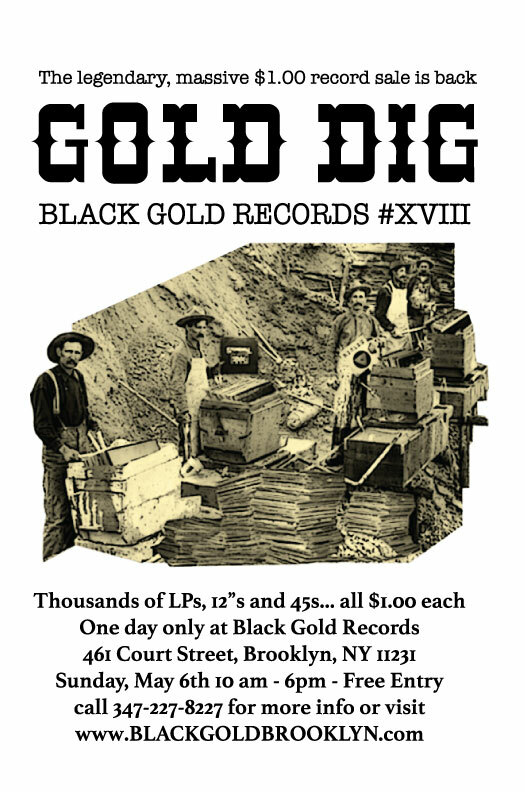 Thousands and thousands of vinyl records will be available here for one day only at the low price of $1.00 each. This is a cash only sale! Expect all genres of music, LPs, 12″s,and 45s: promotional records, label overstock, new and used rock / jazz / blues / soul / funk / disco / indie / metal / foreign / soundtracks / oddball / dance / techno / electronic… the list goes on. 12pm Noon the doors open. 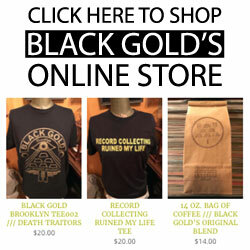 Any questions call Black Gold at 347-227-8227. Tell your friends! ALL AGES – 21+ to drink! 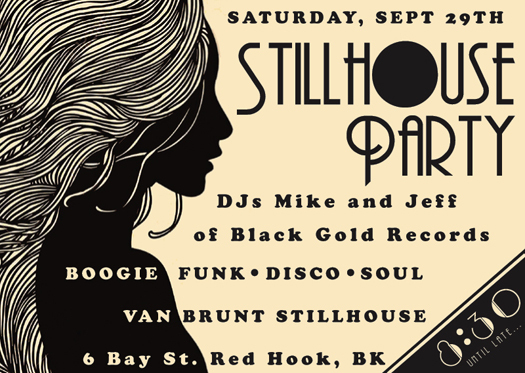 Find out more: Massive Vinyl Record Sale at Brooklyn Brewery. With all the buzz surrounding our neighbors, restaurants Frankies & Prime Meats … (and their plan to rework and expand the original Frankies restaurant), coupled with the scaffolding recently added to the sidewalk in front of our beloved coffee and record shop, a lot of rumors about what is actually happening with Black Gold are circulating. This post has been created in an effort to slow the rumors and phone calls by letting everyone know that we recently signed a new, significant lease and will not be going anywhere! We are excited for the changes our neighbors are undergoing and have faith that this new chapter for our block will only bring more people to the neighborhood. Best of luck to all! (Note: The construction on our building is unrelated and shouldn’t last very long). We are still wide open every day, full schedule! Expect a lot of new stock (new and used records and antiques), menu items, and noticeable changes here! We’ve been listening to what everyone wants! 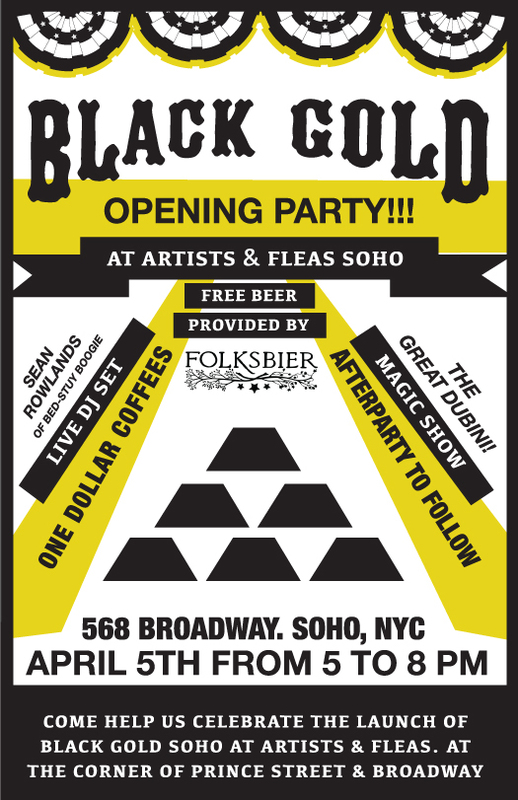 We’re also experiencing great and positive changes in our Black Gold SoHo location inside Artists & Fleas in Manhattan. You can expect more menu items there, and a noticeable increase in stock. Stay tuned for more details and come see us at both shops! 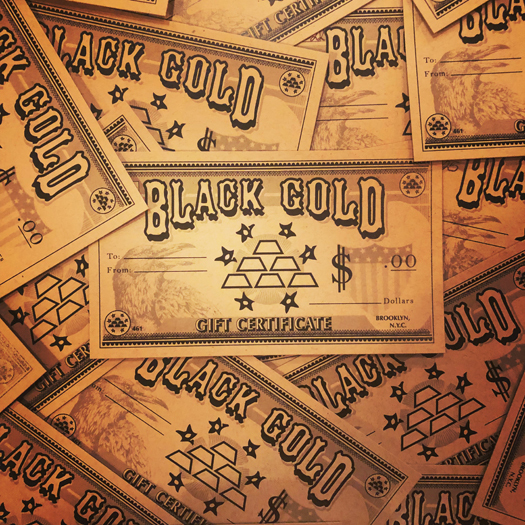 Inside the Artists & Fleas building on the corner of Prince St. and Broadway in Manhattan, you will be pleased to find a brand new Black Gold*. 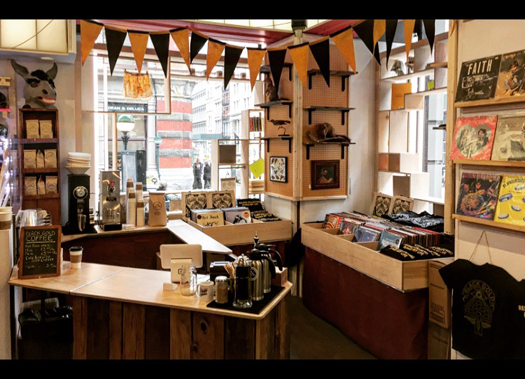 Expect our popular and delicious hot pour-over coffee and year-round cold brewed iced coffee, alongside some stacks of well-curated new and used vinyl LPs. Our walls are beginning to fill up with oddities and curiosities, and our classic apparel and accessories are currently available in all sizes (expect some exciting new designs in the near future as well). Stay tuned for an opening shopping event as well as details on a same-evening afterparty. Please contact Jeff or Mike for any further details! 347-227-8227. *And for those of you who ask, yes our Carroll Gardens, Brooklyn location is staying put and more successful than it has ever been. Thank you for all your support over the years and know this wouldn’t be possible without you all! 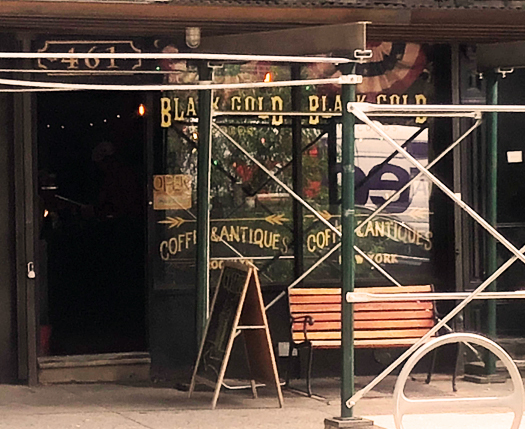 On Monday, January 29th, Black Gold will begin business in a space at Artists & Fleas SoHo at 568 Broadway. At opening, they will be serving hot coffee and cold brewed iced coffee and snacks, offering antiques and oddities from the collection of Ryan and Regina Cohn, and unveiling a new stock of new and used hard to find punk rock, jazz, and soul 45s and LPs. Announcements on a proper opening / shopping event and party to follow.